The Ojai Music Festival is proud to present Patricia Kopatchinskaja as Music Director of the 2018 Festival (June 7-10) in her West Coast debut. Joining Patricia, will be the Mahler Chamber Orchestra in its first extended United States residency. The Mahler Chamber Orchestra was founded in 1997 based on the shared vision of being a free and international ensemble, dedicated to creating and sharing exceptional experiences in classical music. With 45 members spanning 20 different countries at its core, the MCO works as a nomadic collective of passionate musicians uniting for specific tours in Europe and across the world. Based in Berlin, the Mahler Chamber Orchestra forms the basis of the Lucerne Festival Orchestra and has long and fruitful artistic relationships with major artists, including Patricia and Mitsuko Uchida, Ojai’s 2021 Music Director. In Ojai, the Mahler Chamber Orchestra will be featured both as an orchestral ensemble, and also as a showcase for the superb solo and chamber music artistry of its members. Major 2018 Festival projects include two staged concerts designed by Patricia. The first is Bye Bye Beethoven, which she describes as a commentary on “the irrelevance of the classic concert routine for our present life.” This staged program features a mash-up of music by Charles Ives, John Cage, Joseph Haydn, György Kurtág, Johann Sebastian Bach, and the Beethoven Violin Concerto. Her second semi-staged concert is her own provocative commentary on the inevitable consequences on the planet of global warming. Titled Dies Irae, the program includes music by Heinrich Ignaz Franz Biber, Michael Hersch, Byzantine chant, Giacinto Scelsi, and Galina Ustvolskaya’s remarkable Dies Irae for eight double basses, piano, and wooden coffin. A new piece by American composer Michael Hersch – described by him as a dramatic cantata for two sopranos and eight instrumentalists – will receive its world premiere at the 2018 Festival, with subsequent performances at Cal Performances’ Ojai at Berkeley and at Great Britain’s venerable Aldeburgh Festival. Hersch, who wrote a violin concerto for Patricia two years ago, is considered one of the most gifted composers of his generation and is a formidable pianist. 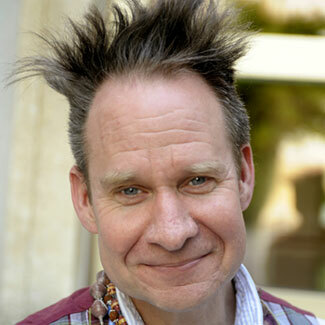 He currently serves on the composition faculty at the Peabody Institute of the Johns Hopkins University. This new work is a co-commission by the Ojai Music Festival, Cal Performances Berkeley, the Aldeburgh Festival, and PNReview, the prominent British poetry magazine at which Hersch is artist-in-residence. Additional programming highlights include Kurtag’s Kafka Fragments; Stravinsky’s L’Histoire du Soldat on the occasion of its centennial; major chamber and piano music by Galina Ustvolskaya; as well as Roumanian and Moldavian folk music performed by Patricia and her parents, Viktor and Emilia Kopatchinski on cimbalom and violin. The Festival closes with the Ligeti Violin Concerto performed by Patricia. Additional details will be announced in the fall. Violinist Patricia Kopatchinskaja’s versatility shows itself in her diverse repertoire, ranging from Baroque and Classical often played on gut strings, to new commissions and re-interpretations of modern masterworks. Ms. Kopatchinskaja first visited Ojai in April 2016 as a guest on the Festival’s off-season “Open Ears” speaker series. A celebrated collaborator, guest artist, and chamber musician, Ms. Kopatchinskaja’s current season highlights include the opening concerts of the new SWR Symphonieorchester with whom she performed Peter Eötvös’ DoReMi Violin Concerto (with the composer himself conducting); an appearance with NDR Elbphilharmonie Orchestra as part of the inaugural performances of the new Elbphilharmonie concert hall in Hamburg; debuts with Rotterdam Philharmonic Orchestra and with Gothenburg Symphonys. Continuing her regular collaboration with the London Philharmonic Orchestra, she appears with them in London and New York under Vladimir Jurowski. György Ligeti’s Violin Concerto is a particular focus of Ms. Kopatchinskaja’s current season; she will perform the work widely including with the Berliner Philharmoniker. Ms. Kopatchinskaja serves as Artist in Residence at four major European venues and festivals: at the Berlin Konzerthaus; at the Lucerne Festival (where she will be artiste étoile); at the Wigmore Hall in London; and at the Kissinger Sommer Festival, and is an Artistic Partner with The Saint Paul Chamber Orchestra, performing regularly with the ensemble both in Saint Paul and internationally. Ms. Kopatchinskaja. 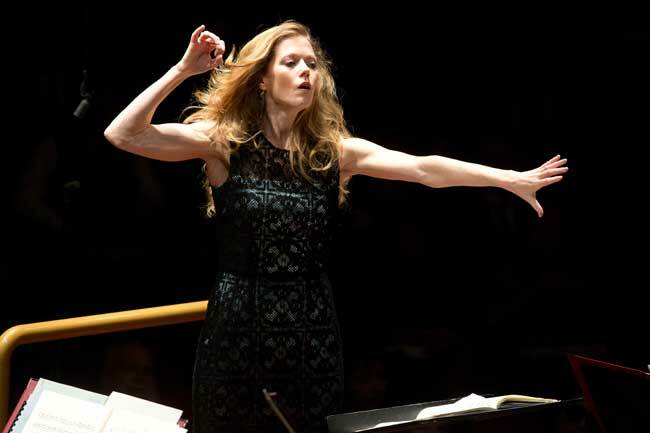 Her release for Naïve Classique featuring concerti by Bartók, Ligeti and Peter Eötvös won Gramophone’s Recording of the Year Award in 2013, an ECHO Klassik Award and a 2014 Grammy nomination. Her recently released “Take Two” on Alpha has garnered critical acclaim worldwide. 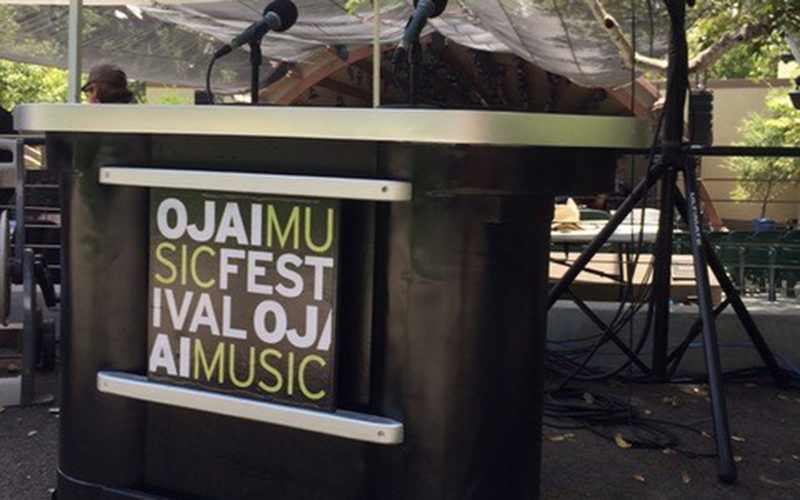 Enjoy archived concerts and interviews from our 2017 Ojai Music Festival, June 8-11, with Music Director Vijay Iyer and friends. Special thanks to Lynn Bremer and California Internet for making our live stream possible. 7:50 PM Steve Smith & Thomas Kotcheff: Welcome! 12:50 PM Steve Smith & Thomas Kotcheff: Welcome to Day 2! 12:50 PM Steve Smith & Thomas Kotcheff: Welcome to Day 3! 12:50 PM Steve Smith & Alan Chapman: Welcome to Day 4! Apply To Be A 2016 Festival Intern! The Festival is currently accepting applications for its 2016 Internship program. 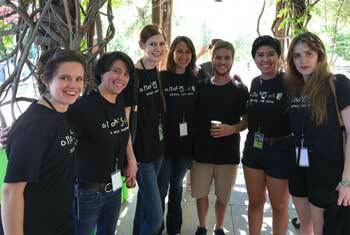 Each year, the Ojai Music Festival Arts Management Internship Program welcomes 12-14 college students and recent graduates to go behind the scenes of a renowned summer music festival. Interns work closely with the staff and production team, providing critical support and gaining invaluable hands-on experience and skills for their future careers.